It is hard to believe that the Christmas season is here already. The older I get, the faster the months go by! Although to be fair, I did just have my 7th baby in November, so that month was a blur! We are just starting to get back into a routine now, but it is still slow going. I am soaking up all the baby snuggles I can get! With the holiday season here already, many people are feeling the stress of the hustle and bustle. There are gifts to be bought, decorations to be put up, parties to attend, baking to be done…and you know the list goes on. If you didn’t get a chance to check out my Simplify The Season Holiday Party, make sure you head over there. There was a new post each day in November, encouraging and inspiring you to simplify and enjoy this holiday season. With a new baby in the family, we are really slowing down this season and focusing on little things we can do as a family, without adding any stress or unnecessary expectations. One of those things is fun holiday themed crafts! My children would make crafts all day long if I had the patience to let them! Thanks to Scott and Walmart, we were able to create some new, simple ornaments for our Christmas tree this year and I thought it would be fun to show you how they came out! The directions are quite simple…and flexible! My girls made all different ornaments and they all came out great! *Once dry, hot glue the pieces together to form a flower or snowflake etc, or get creative and make another shape. We made snowmen and round ornaments too! 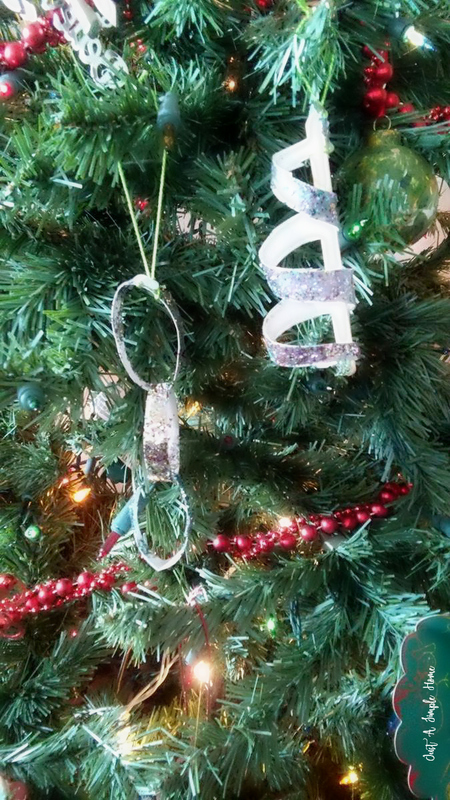 *Add a piece of string to the ornament to hang on your tree and voila! 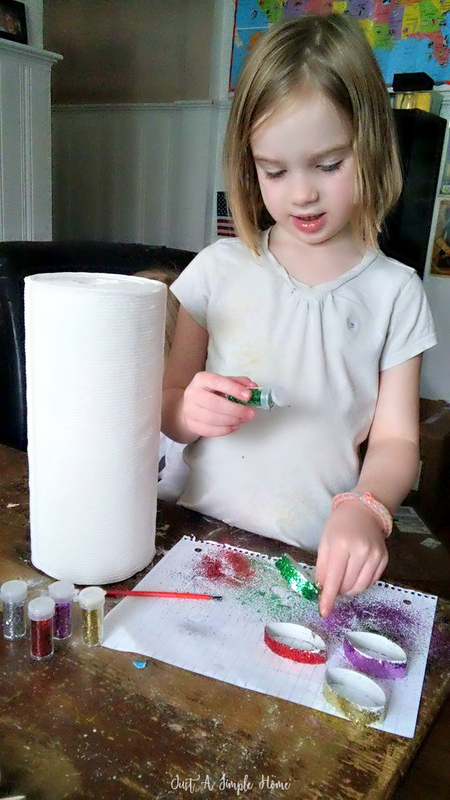 Glue and glitter…a little girls favorite combination! A fun night of Christmas crafts would not be complete without snacks, right? 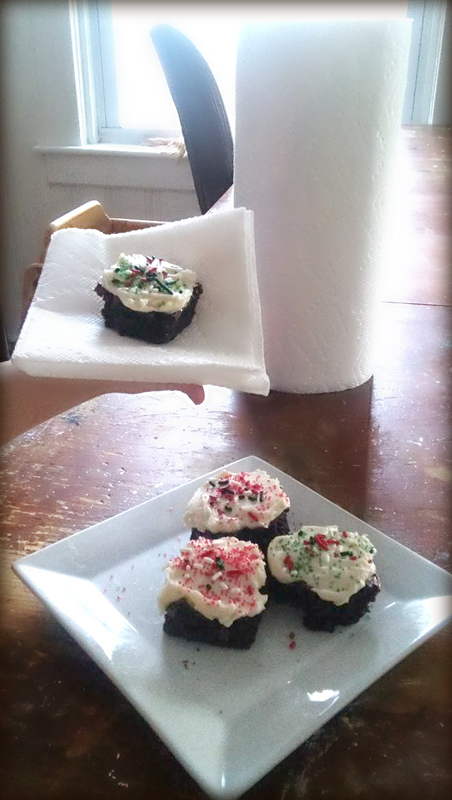 We made a batch of brownies and decorated them and got all hyper with sugar so we could craft and sing until it got dark. 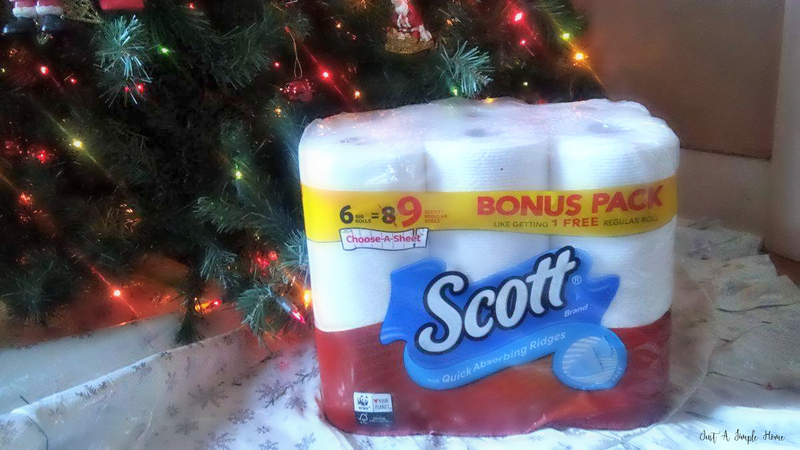 As you can imagine, quite the mess was made but it was quickly cleaned up with our Scott paper towels. You can save time & get the best deals from Walmart by ordering online and taking advantage of their free 2 day shipping, or pick-up right in the store! I have a few Walmart stores next to me, so I was able to grab what I needed from the store quickly and easily. If I didn’t have store so close to me, I would definitely take advantage of their fast shipping. It is so convenient, especially when you don’t want to take little ones to the store and risk bringing home germs! As a mom of a large family, I know what it is like to be on a budget, so I appreciate being able to get cash back through Ibotta! You can click any link below for an Ibotta rebate that you can use online or in-store. Some of these may look like the same coupon, but they are all different products, so check them out and grab your favorites for your family! 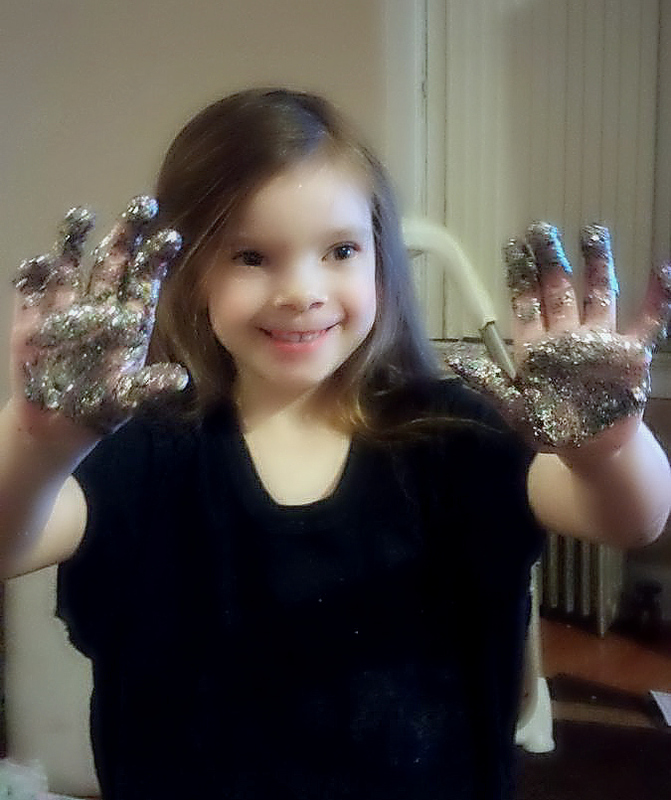 You are so braves to break it the glitter with kids! Looks like she had fun! !